What happened in 2014: Became one of the most valuable bench pieces in baseball and destroyed left-handed pitching. Two winters ago, the Dodgers designated Scott Van Slyke for assignment. They needed the space on the 40-man roster and they didn’t like the direction in which his career was heading. No other MLB team decided to acquire him, which might have been a wake-up call of sorts for him. 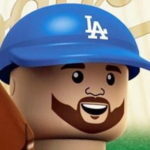 After rededicating himself to the game and improving his conditioning, Van Slyke is one of the most valuable assets the Dodgers have because he crushes left-handed pitching (.315/.415/.630 in 2014), while Carl Crawford and Andre Ethier do not. Good times. You gotta wonder if the Orioles are contemplating a trade for Van Slyke so he can continue to own Miley while he’s in Boston. I wrote about his extra-base hitness in May. “In 43 plate appearances, Van Slyke is hitting .309/.419/.722(!) with three home runs, four doubles, one triple and a .381 isolated power mark (league-average is .145). Eight of his 11 hits have gone for extra bases, and 15 of his 31 hits in 2013 were of the extra-base variety. When he gets a hit, he makes it count. He has also improved his plate discipline this season. It’s a small sample size, but he’s walking in 16.3 percent of the time and is only striking out about 4 percent more than his career mark — more than worth it, considering the increased power. Van Slyke has been worth 0.7 wins above replacement in 16 games. He was worth 0.8 WAR in 53 games (152 plate appearances) last season. There is value in this guy’s bat, which makes it even more infuriating when Don Mattingly refuses to use him late in games at times — especially in place of Carl Crawford and Andre Etheir against left-handers. He finished the season with a great .226 ISO and 25 of his 63 hits were for extra bases. Granted, most of his damage came against southpaws, but he wasn’t close to unplayable against righties, posting a .279/.353/.413 triple slash against them in 116 plate appearances. Now, before you jump on the bandwagon saying he’s the next Jayson Werth, consider Van Slyke struck out 32.8 percent of the time against righties and 25.4 percent of the time against lefties. Some guys are just good role players, and Van Slyke’s role is as a fourth outfielder/backup first baseman with power and the ability to draw walks. And then came the great Dodger center field experiment. Van Slyke had — at one time — rose to the top of the Dodgers’ center field depth chart, which is someone’s idea of a cruel joke. But it was no joke. “This is, needless to say, Van Slyke’s first start in center field in the big leagues, and potentially ever. Of his 784 career minor league games, only 35 were in center, but A) the game logs don’t include whether those were starts, full games, or just brief cameos, and B) All but two came between 2005-2008. He’s played three innings there this season, and got out there briefly in the 13th inning of Game 1 of the NLCS. He’s a decent first baseman and a moderately unoffensive corner outfielder, but his biggest weakness is his speed, by which I mean, he has no speed. The Dodger outfield is already one of the six worst as far as range goes, and now Clayton Kershaw gets to deal with this. In 143 1/3 innings, the results were not good (but still, sadly, better than Matt Kemp): -21.4 UZR/150 and -2 DRS. By comparison, Van Slyke is a plus-defender in left field (25.0 UZR/150, 7 DRS in 458 2/3 career innings). It’s pretty clear where he needs to be playing. With Kemp in San Diego, center field is all for Joc Pederson and Chris Heisey (not Ethier). Van Slyke was part of the most productive outfield in Los Angeles Dodgers’ history, and figures to be a big part of the 2015 plans, provided he isn’t (surprisingly) traded. 2015 status: Will make the league-minimum and is under team control through the 2019 season. He should see ample time against left-handed pitching again (in left field and sometimes at first base), and could even draw some starts against righties in some scenarios.